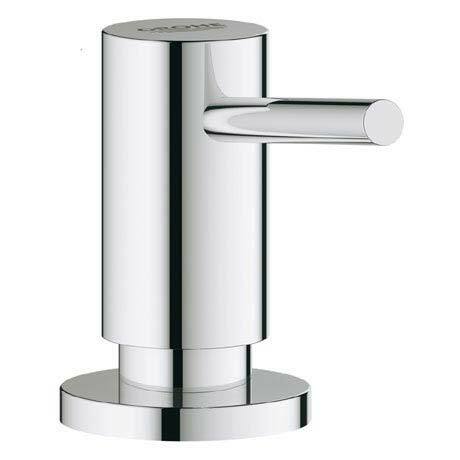 This practical and stylish soap dispenser beautifully complements Grohe's kitchen and bathroom taps. Designed to be under counter mounted, this soap dispenser comes finished in GROHE StarLight, a special chrome coating that is scratch resistant and easy to clean. Not the cheapest product but looks fantastic. "Great product, neat, easy to fit, does what it says on the tin!" Fast delivery nice product in very good price. Thanks! "Cheaper than other websites selling the same product, delivered promptly and efficently very happy."